Back when Nintendo ruled the home gaming landscape, its character typically took a slow walk through their digital lives. Then along came Sega with Sonic the Hedgehog, a character who raced across the screen and was always moving in high gear. I thought about Sonic when I was checking out Talking Tom Gold Run, a newly updated game that puts the same high-speed action on mobile devices. Like the athletes in the Summer Olympics, Talking Tom is running for the gold. In this case, he’s chasing a robber who stole a truck loaded with gold bars. 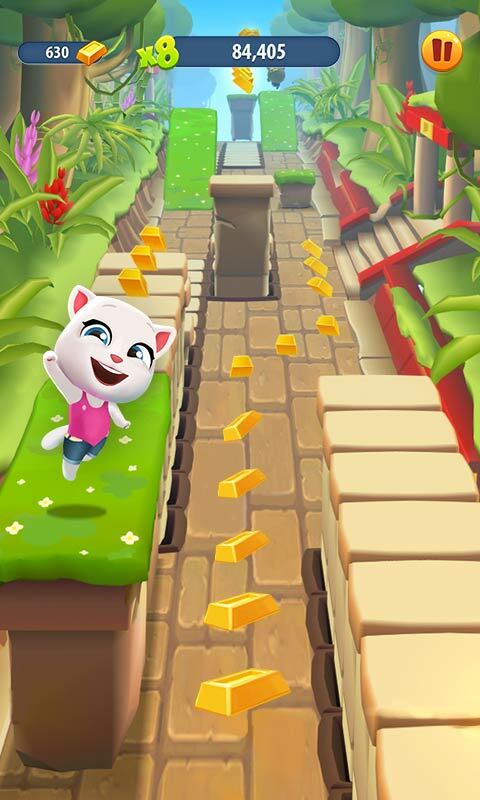 Tom is rewarded for running as fast as possible as he retrieves fallen gold bars, dodges obstacles and collects rewards that will help Talking Tom and his friends build their dream homes. Like Sonic, Talking Tom runs with his crew: Talking Angela, Talking Ginger, Talking Hank and Talking Ben. In the latest update to the Talking Tom franchise, which has racked up more than 4.5 billion downloads, players can unlock seven different worlds, including a city, woodlands, and a beach. New building upgrades, characters and running segments become available as the work on each character’s house progresses. The game is the latest release from Outfit7, a Slovenia-based studio that produces family-friendly apps that are certified by PRIVO, an FTC approved COPPA safe harbor program. Talking Tom Gold Run is available as a free download in the iTunes App Store, the Google Play Store, the Windows App Store and the Amazon App Store. You can see Talking Tom in action in the video below and get news and updates about the Talking Tom collection of games @TalkingTomCat on Twitter.